The other day I was asked the age-old question, “cash or credit?” As a blogger, travel hacker, manufactured spender, and responsible credit card user, why would I use cash? It doesn’t profit me any, it’s germy, and it’s plain boring (credit cards are much prettier). I don’t always follow this to a T, because cash can occasionally be much for lucrative than points. For example, if Discover is 5% cash back at a gas station and my Amex Platinum is only 1X points I would definitely use Discover. 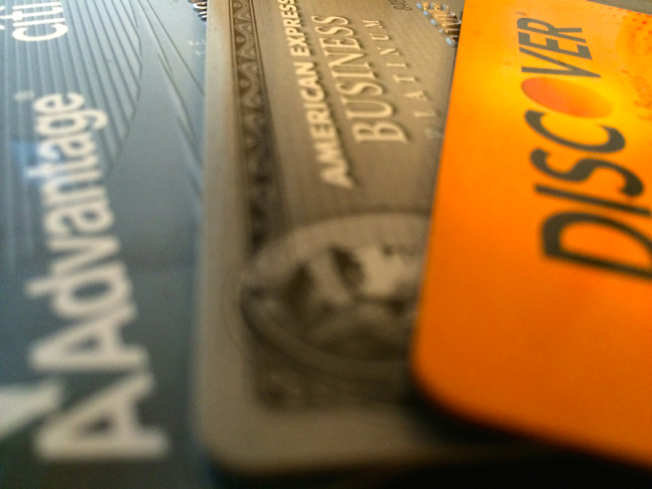 Now if my Capital One Quicksilver is 1.5% cash back at a gas station and my Amex SPG is 1X points, I would definitely choose the 1X points because they’re worth much more to me. Is it a perfect system for everyone? Not really, but it works for me. You might already have your own HoR, however, if you don’t I highly suggest making one. That way you have goals in mind, which is quite important in this game. BTW: I’ll be at the Ann Arbor Do tomorrow. Hopefully I’ll see some of you there!